The main difference between groupId and artifactId in Maven is that the groupId specifies the id of the project group while the artifactId specifies the id of the project. It is required to use third party libraries when developing a project. The programmer can download and add these third-party libraries to the project, but it is difficult to update them later. Maven provides a solution to this issue. It helps to include all the dependencies required for the project. Moreover, the programmer can specify the required dependencies in the POM.XML file. It has the configuration information to build the project. Furthermore, this file consists of several XML elements, and two of them are groupId and artifactId. The POM.XML file is as follows. There are several elements in the POM.XML file. The <project>is the root element. The <modelVersion> specifies the model version while the <version> specifies the version of the artifact under the given group. The groupId is the id of the project’s group. Generally, it is unique amongst an organization. According to the above, the groupId is com.companyname.project-group. The artifactId is the id of the project. It specifies the name of the project. A section of an XML file is as follows. The section ‘pediaa’ in the groupId is the company name. All the projects of the company will be under com.pediaa while the tutorials are in com.pediaa.tutorials. Therefore, com.pediaa.tutorials is the groupId. The cs-tutes defines the project id which is the artifactId. Furthermore, all POM.XML files need to have project, groupId, artifactId and version. In addition, there can be other XML elements such as name, URL, dependencies, dependency, etc. The groupId is an XML element in the POM.XML file of a Maven project that specifies the id of the project group. In contrast, artifactId is an XML element in the POM.XML of a Maven project that specifies the id of the project (artifact). Thus, this is the main difference between groupId and artifactId in Maven. Furthermore, another difference between groupId and artifactId in Maven is that groupId helps to identify the project group while artifactId helps to identify the project. 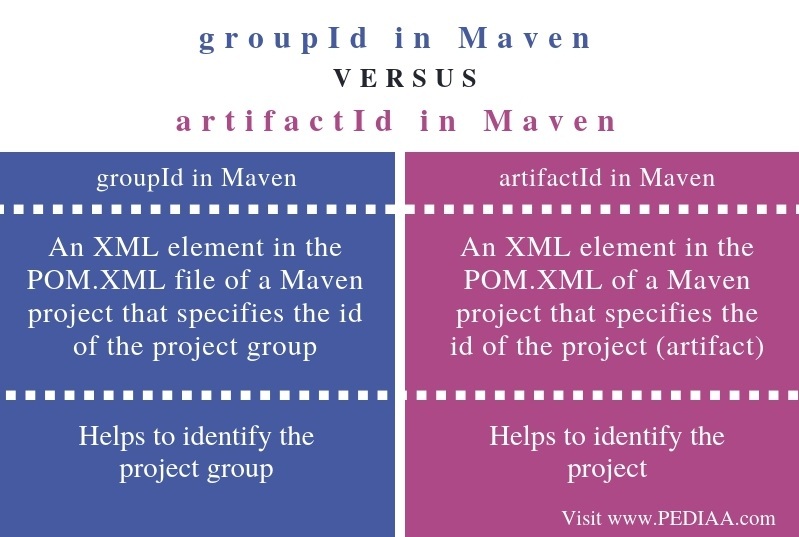 The main difference between groupId and artifactId in Maven is that groupId specifies the id of the project group while artifactId specifies the id of the project. In brief, these elements help to organize the projects of the organization. 1. 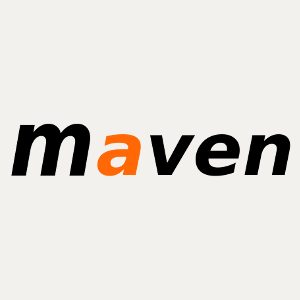 “Maven Pom.xml – Javatpoint.” Www.javatpoint.com, Available here.